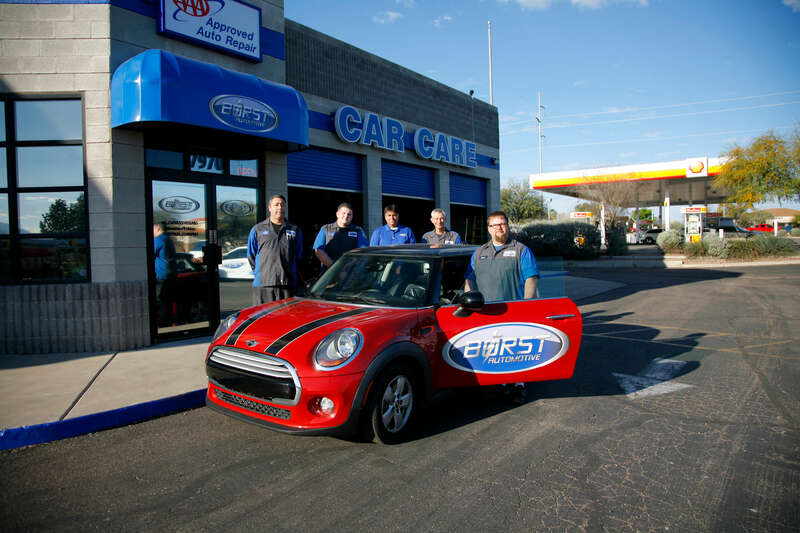 Borst Automotive has been serving Tucson since 1968! All of our technicians and consultants are A.S.E. Certified. We believe in taking the time to get to know you and your car so we can deliver unsurpassed service. At Borst Automotive, we believe that your car and your family deserve top quality repairs that ensure safety at a fair price. We believe in looking you in the eye, shaking your hand and getting it right the first time. There was a time in this country where a square deal, a strong handshake, and honest work were delivered by your local mechanic. We know that trust can never be underrated at your auto repair shop. At Borst, everyone gets nothing but our best, every day, on every repair for every car. We might not be able to bring every other part of the repair business back to the way it should be, but we will do that for you and your car every single time. Borst Automotive – The way it should be. Borst Automotive is locally owned and operated. We have been serving the Tucson community since 1968 at our Swan location. In 2016 we opened our second location at Golf Links and Pantano. Customer Appreciation Day will be held on Saturday, May 4th, 2019 from 10am – 1pm at our Golf Links location. Complimentary food and drinks will be provided, along with a complimentary vehicle inspection. Technicians will be on hand to answer any questions regarding your vehicle as well. Please make sure to stop by so you can be entered into our drawing. At Borst Automotive, our community is not simply a location for our shop, it is the heart of who we are and why we have been in business for over 50 years. We believe in strengthening our community through promoting awareness, performing community service, and supporting local businesses whenever possible.